Now you have to consider again if you often exchange or lend clothes and lipstick with friends. It turns out that exchanging personal items with others is very risky for transmitting many diseases whose symptoms we may not even experience. A study found an astonishing fact that a number of the tester or makeup samples provided to be tested in large stores turned out to contain E-coli, Staphylococcus, and Streptococcus bacteria. E-coli bacteria that cause digestive disorders usually move from the hands of people who do not wash their hands after going to the toilet, then he touches the item. This is very likely to occur with makeup and certain items that are used interchangeably. Here are those things. You need to know that bacteria will always be on every surface of the skin of the human body. Although not dangerous, these bacteria can sometimes cause infection. Underwear can contain germs from feces and fungi from a person's genital infection. These germs are dangerous because they can last on the fabric for a long time. If the underwear is not washed properly, the germs will also spread to other clothes that are washed with the underwear. This is why underwear, needs to be replaced every day and it is recommended that you not lend to others. Clothes such as tracksuits and clothes used for cooking must be washed immediately after you use them. Towels used by more than one person can increase the risk of exchanging germs among people who use the towel. You must bring your own towel every time you travel or exercise. Toothbrushes that are used together by more than one person at risk of increased transmission of hepatitis C due to the possibility of exposure to blood containing hepatitis C virus. If you forget to bring a toothbrush while staying, buy a new one instead of borrowing someone else's toothbrush. Scratched skin then bleeds is a risk that might occur when someone shaves a hair or beard. That is why shavers are very risky to contain infected blood and can then spread certain diseases, such as hepatitis C if the shaver is used alternately with other people. Not using footwear in a public bathroom can pose a risk of nail fungus. Using nail clippers alternately with other people is also at risk especially from people who are exposed to fungi first. This fungus will usually multiply in moist and warm environments, can attack toenails, and the skin around your nails. It is strongly recommended that each family member at home have his own nail cutter. Children around 3-11 years of age often experience ringworm on the scalp and lice which are abnormalities. Ringworm can leave around the rash of redness or hair loss. While fleas can breed quickly and itchy scalp. This ringworm and lice can easily spread and spread through combs which are used interchangeably. Likewise with the use of helmets and hats that are used by more than one person. Using headphones that are not clean can also cause outer ear canal infections. This infection must be treated immediately because it can spread and cause risks, such as hearing loss. You must clean the earphones regularly, and not exchange these items with others to prevent the risk of spreading the infection. Infections in the eye, such as conjunctivitis, can spread through makeup used alternately with other people. Habits that seem simple, such as borrowing and using your friend's lip gloss, can increase the risk of contracting herpes labialis. This disease caused by the herpes simplex virus can cause bubbles to blister in the mouth. Therefore, it is strongly recommended to avoid using makeup equipment together. 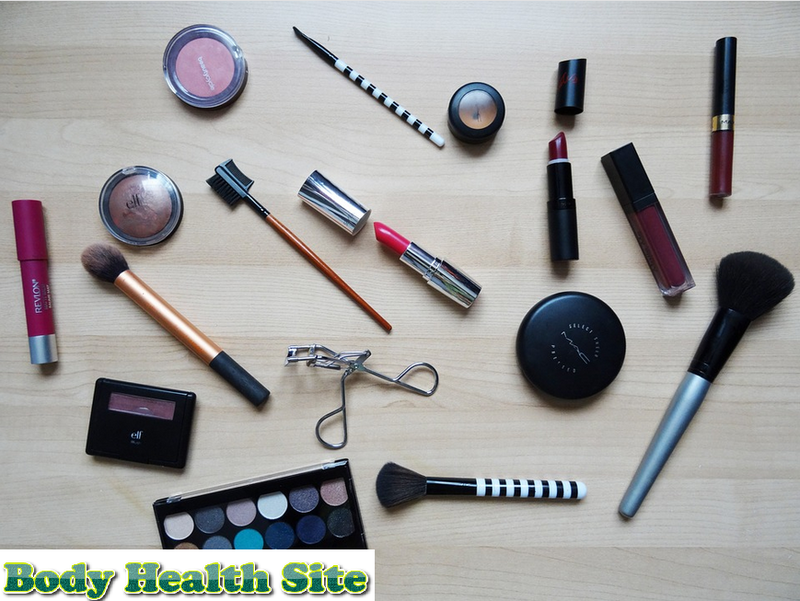 Especially the makeup tools used in the eyes, such as mascara and lipstick on the lips. If you use professional beauty services, ask if you use disposable makeup or always wash their makeup after use. If it is difficult not to share makeup, at least broom with alcohol and throw away the top layer, for example on lipstick that someone else is using to reduce risk. For eye pencil, look before reuse. It is strongly recommended not to lend personal items that involve direct contact with the skin and mucosa (such as the mouth and eyes), including glasses, drinking bottles and bar soap. Conversely, if your item has already been lent to a friend, try washing it with warm water to kill germs that might exist. 0 Response to "8 These Things You Can't Lend Again"